Greater Portland Iris Society invites you to our Early Iris Show 2017, Sunday May 7th, 10 to 4. Our host will be Clackamas Master Gardeners at their Spring Fair Plant Sale with the gates opening to the public at 9 am. Admission is $5 per person with 15 and under free, the Floral Show is free with this entry. 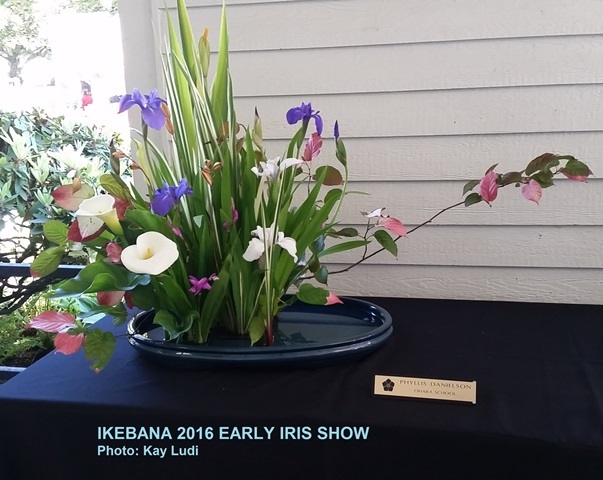 This year we will again be inviting the Ikebana Society to showcase their craft of floral arranging at the show. We are also pleased and invite you to attend a class at 2:30 given by the current President of the local chapter of Ikebana. She will be giving a floral demonstration while talking of the different schools and their disciplines. 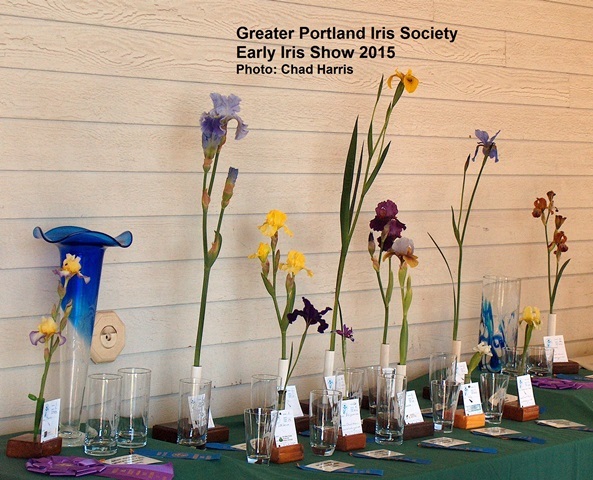 At the Iris Show you will see cut blooms of the many different iris that can be grown here in the Willamette Valley. Confusion always arises with the awards as many ask why this one got a ribbon and not that one over there. The judges are not awarding the iris but the person that grows, transports, and displays the iris to represent the best for its class. The best of each Section then goes head to head on the Queen’s Table to be picked “Best of Show”. This one iris should be as close to perfection for its class and variety as possible, showing no damage or stress to the flower. Come join us to see and learn about the many different iris that can be grown in your garden. We will also have for you a list of the many local iris gardens in the Willamette Valley that you may visit and purchase as we come into peak iris season. Watch the Iris Judges decide and chose the “Best of Show”. Marvel at the artistic displays of the Ikebana Schools and learn what makes them different from each other. More information of the SpringGardenFair a two day event, remember Greater Portland Iris Society and the Ikebana Schools will only be there on Sunday May 7th.